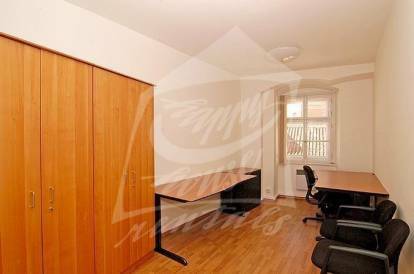 Office in a great area of Prague 1 – Malá Strana. Office is situated on the second floor of a brick building. Kitchen and toilets on the floor. The house is close to „Malostranské“ Square, where is also a tram stop, one stop to metro A station „Malostranská“, direct connection to all metro lines. Rent includes fees, security deposit equals to one months rent. Interested in this property, ID 35189?